Make a difference during the upcoming annual Fairtrade Fortnight 2014 (24th February - 9th March) with Baylis & Harding's 'The Fairtrade Collection'. 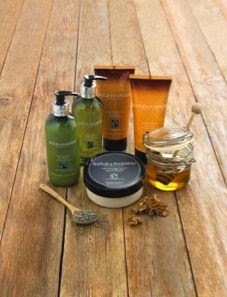 The Fairtrade Collection is big on the feel-good factor as each soothing, hydrating ingredient is ethically sources to Fairtrade Foundation guides to benefit producers worldwide. This range offers affordable, luxury skincare for everyone, secure in the knowledge that every purchase goes to support the developing world. We got some goodies to test and try out from the range. 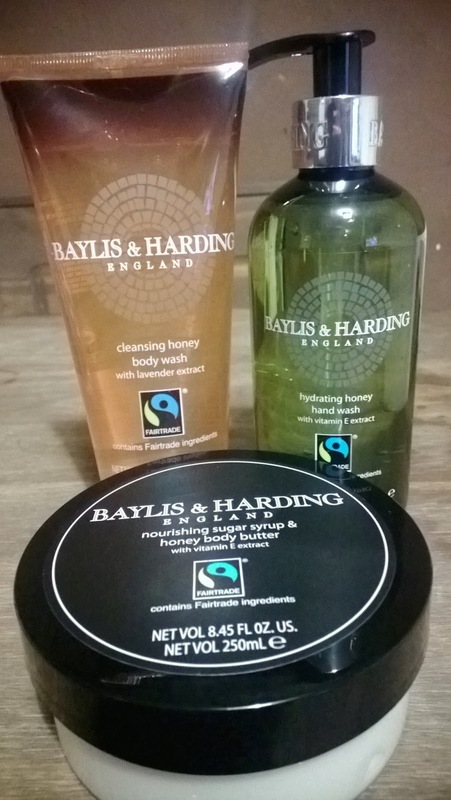 You all know I love Baylis and Harding products, so I was thrilled to be able to review something for me for a change. Each product clearly displays the fairtrade logo. First we got sent to review was the Fair Trade Hydrating Honey Hand Wash. The handwash has a very mild scent and left my hands feeling very soft and smooth and hydrated. The handwash has vitamin E extract which gently cleanses the skin to leave it feeling soft and nourished. The sugar syrup and honey body butter absorbs in to the skin very easily. You only need a bit as it goes a long way, so it doesn't take ages to rub it. It leaves the skin feeling very soft and not greasy like some other brands of butters I've used in the past. The only thing I didn't like was the scent of it, it was a weird combination for me I normally go for fruity scents myself. I liked the texture of the body wash it wasn't watery and a great thickness. The scent was nice with a hint of lavender. It seemed to leave my arms feeling smooth and moisturised. I felt refreshed after I had used it in the bath.